Bookends of Fowey is the leading stockist of all works by, and relating to, Daphne du Maurier. We always stock an excellent range of Daphne du Maurier’s novels, short stories, plays and biographies in a number of different formats and a range of prices. This can include rare examples of Daphne du Maurier’s works, signed copies and interesting items of ephemera. We also have a range of biographies and other books providing information about Daphne du Maurier, her family and associates, copies of the works of George du Maurier and Angela du Maurier and theatre programmes, postcards and other ephemera relating to Gerald and Muriel du Maurier. On this page we will show you a changing selection of the various items that we have available for sale. For more information e-mail us at info@bookendsoffowey.com or telephone us during shop hours (9.30am-5.30pm, Mon-Sat and 11am-4pm, Sun) on 01726 833361. We have recently taken a large collection of foreign language Daphne du Maurier titles into stock at Bookends of Fowey. 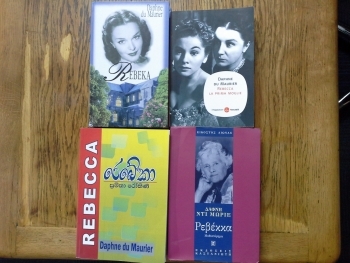 Examples are shown in the next two pictures, the first showing four copies of Rebecca - top left Italy, top right Poland, bottom left Sri Lanka (Sinhala language) and bottom right Greece. This second picture shows, left - I’ll Never Be Young Again from Slovakia, middle – The King’s General from Poland and right – Rule Britannia from Russia. 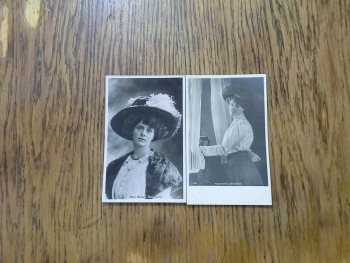 Two examples of theatrical postcards available at Bookends of Fowey are pictures of Muriel Beaumont, wife of Gerald du Maurier and Daphne’s mother, and are dated from about 1905. 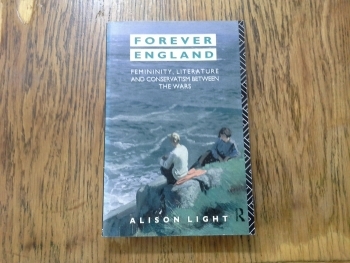 In Forever England, the author, Alison Light argues that we cannot make sense of Englishness between the wars, or understand the changes within literary culture, unless we recognise how much ideas of national identity were bound up with notions of femininity and private life. She discusses the novels of Ivy Compton-Burnett, Agatha Christy and Daphne du Maurier. This is quite a difficult book to find and is an important text for those with a serious interest in Daphne du Maurier. 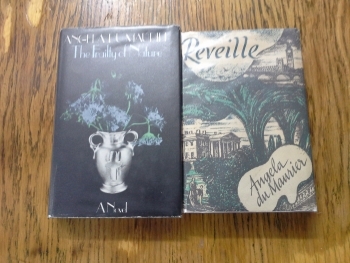 At Bookends of Fowey we have a good range of Angela du Maurier’s books in hardback and paperback copies, some of which are first editions. For a list of all her available titles please contact Bookends of Fowey direct. 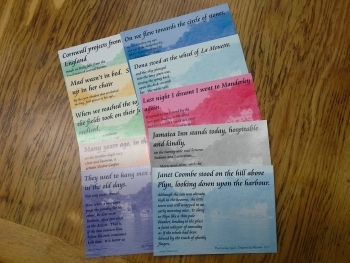 Bookends of Fowey designed this set of ten Daphne du Maurier-related postcards. In Daphne’s canon of work there are nine novels that are set, wholly or partially, in Cornwall. All, except Jamaica Inn, come to Daphne’s home town of Fowey at some point in the novel. We have taken a quote from each of these novels and set it against a background picture of Ferryside, the du Maurier family home. The tenth card, which completes the set, is a quote from Daphne’s factual book on the spirit and history of Cornwall, Vanishing Cornwall. Cards can be bought singly or as a set of ten and, because they were designed here, they are only available from Bookends of Fowey. 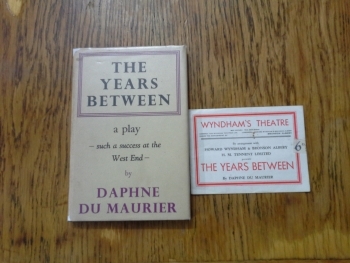 This is a first edition copy of Daphne du Maurer’s second play The Years Between, published by Victor Gollancz in 1945, and a copy of a theatre programme for the same play, which had a short provincial tour before a season at Wyndham’s Theatre, London. For details about the condition of both items please contact Bookends of Fowey direct. 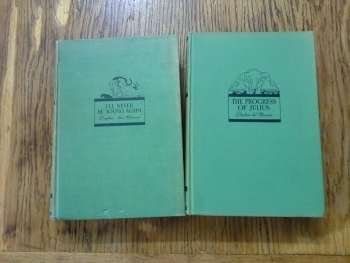 Currently we have two of Daphne du Maurier’s earliest novels available for sale in American first editions, published by Doubleday, New York. They are I’ll Never Be Young Again, published in 1932, and The Progress of Julius, published in 1933. Considering that they are both over eighty years old their condition is good, although, as you can see from the picture, The Progress of Julius is the better of the two books. This is a great opportunity to buy a first edition of one of these early titles. For a full description of condition please contact Bookends of Fowey direct.